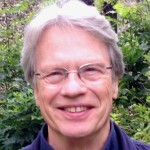 Jim Hopkins is currently an Honorary Professor in the Psychoanalysis Unit of the Research Department of Clinical and Health Psychology at UCL. He was Kohut Visiting Professor of Social Thought at the University of Chicago in 2008, and is Emeritus Reader in the Philosophy Department at King’s College London. His recent work has been in the intersection of philosophy, psychoanalysis, developmental psychology, evolution, and neuroscience. I think we can now best progress in understanding mental phenomena — including both motivation and consciousness — by considering them in the perspective of free energy neuroscience. This is particularly important for psychoanalysis, as it enables us to integrate Neuropsychoanalytic work by Solms and Panksepp on the drives with an account of the ego and primary and secondary processes that both parallels Freud’s and flows from the basic ways of minimising free energy. This notion is discussed and illustrated in the work collected here.